"*Lake Placid, New York Resource Travel Guide to Olympic attractions, vacation, tourism, resort, hotel, motel, accommodations, lodging, Real Estate, Lake, Travel Guide, lodging, hiking, restaurants, real estate in Lake Placid, Saranac Lake, Tupper Lake, Lake George etc..! " Lake Placid NY .com is the premier online guide to Lake Placid, New York showcasing hundreds of exciting attractions throughout the Olympic region and upstate New York. We invite you to take a virtual tour of some of our most popular travel destinations including the historic communities of Saranac Lake, Elizabethtown, Keene, Keene Valley, Jay, Wilmington, Essex, Ticonderoga, Crown Point, Schroon Lake and Westport. attractions. Lake Placid's Olympic attractions include famous Whiteface Mountain, boasting the greatest vertical drop in the East and the Mackenzie Intervale Olympic Ski Jumping Complex, where you can ride to the top of the 26 story, 120 meter ski jump in a glass enclosed elevator! Other venues include the Mt. Van Hoevenberg bobsled and luge track where you can take an exhilarating ride down the only dedicated bobsled run in the US. The Lake Placid and I Love New York Horse Shows, at the North Elba Showgrounds in Lake Placid, NY. Ford Ironman USA/Lake Placid Competitors from around the world will arrive in Lake Placid to compete in one of only 4 official Ironman Triathlons to be held in the continental U.S. The old fashioned tradition of family, friends and the spirit of Christmas are all waiting for you! Call 800-806-0215 for Yuletide Family Weekend Packages. February Come join in the fun! Live or Work in Beautiful Saranac Lake! 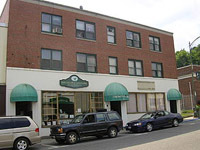 Apartments & Office Space Available Downtown in the Grant Building! & parking spot in private lot. Please call (518) 891-3745 - Rob Grant & Assoc. for more info! As college tuitions continue to increase at a frightening pace, discover what smart parents & students are doing across the country to fight back! Save high tuition costs by going to school online! Outdoor photographer Carl Heilman II has lived in the Adirondacks in upstate New York since he moved to the region in 1973 to live in his parents' summer home. Carl Heilman II has been photographing the Adirondack wilderness landscape since 1975, working to capture on film both the grandeur of these special places, and the emotional and spiritual connection he has felt as well. Carl Heilman's passion for spending as much time as possible in some of the wildest regions of the Adirondack Park, soon became a life-long quest to create images that record the essence of a true wilderness experience. Today Carl is a full time professional nature photographer.His photographs and panoramas are also available as posters, murals, and special edition prints. His selection of Adirondack posters includes a pair of panoramic posters that show the full 360� view from the summit of Mt. Marcy, and a panoramic image of the spectacular fall foliage and the High Peaks from Mt. Van Hoevenberg. Each winter, as a NYS licensed guide, he leads backcountry snowshoeing workshops at the Mountainfest in Keene Valley, and has lead them for the Adirondack Mountain Club at the Adirondak Loj near Lake Placid, Click here for more information on Adirondack Artist Carl Heilman. Lake Placid has been a summer destination for golfers for over one hundred years. It is a golfers paradise with several world class courses for you to choose from. From scenic Craigwood , to 45 hole Lake Placid Club , Whiteface Club and Resort & the Saranac Inn, to smaller Saranac Lake Golf Club and Westport Country Club, you won't be disapointed . and Browse Amenities! Save big on your entire trip, even last minute travel. Lake Placid summer golf packages . Lake Placid offers hundreds of links and spectacular golf in the heart of the Adirondacks. Award-winning courses offer a unique variety of golf for players of all abilities in a truly breathtaking mountain setting. Find your perfect home. Residential Golf Community guide and information for country clubs, golf communities and private golf communities across the United States. Craig Wood Golf Course offers a challenging round of golf in a spectacular setting. Designed by Seymour Dunn in 1925, this carefully maintained municipal course is strategically carved into the Adirondack countryside. It�s the perfect opportunity for a great round of golf. Whiteface Club Golf Course is one of the most notable and majestic golf courses in the eastern United States. Built in 1898 on the shores of Lake Placid, it soon became the course of royalty, move stars and famous sports figures. The Saranac Inn Golf and Country Club was founded at the turn of the century and designed by renowned Scottish Pro and Architect Seymour Dunn. The course was designed using the natural terrain to provide a wonderful golfing experience, with spectacular mountain views, pure mountain air and a memorable fragrance emanating form the balsams that line the course. A friendly 9-hole course on route 86, between Saranac Lake and Lake Placid fun for both novice and experienced golfers. Offers a complete practice facility. 891-2675. 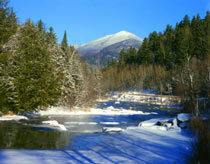 View hundreds of properties for sale as well as vacation rentals in the Lake Placid area of the Adirondacks. Get record low interest rates! Compare Loans, Calculate Payments, Get Pre-Approved. All Online. 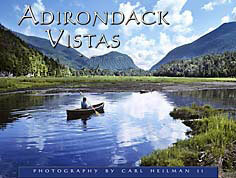 Have you ever thought about publishing your very own book about Lake Placid? 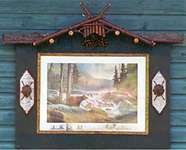 Here you will find a wealth of information about Adirondack log cabin homes, log home floor plans, financing for log homes, construction tips on log homes, Adirondack custom log homes, log home photographs, and much, much more! 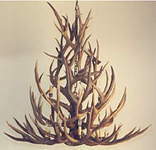 View thousands of log home plans, log home kits & log home furniture. On January 31, 04 Disney unveiled its version of the famous confrontation between the United States and the Soviet Union. Called 'Miracle' , it is the story of the 1980 U.S. Olympic hockey team that made sports history by taking the gold medal in hockey away from the Soviets. Kurt Russell plays the leading role of legendary USA hockey coach Herb Brooks, the man who single-handedly transformed an unassuming group of college players into hockey heroes. To learn more click here . The Adirondacks & the Lake Champlain Valley of Upstate New York & Vermont have long been known for their truly unique & varied cuisine ranging from fresh caught native brook trout cooked over an open campfire to world class dining at five star resorts. In the internationally acclaimed Olympic Village of Lake Placid, diners can choose from exciting restaurants with menus featuring everything from sushi and health foods to hearty Adirondack homecooked meals. The Culinary Arts program at Paul Smith's College in the Adirondacks was founded on the principle of learning by doing. Many of todays local chefs learned their trade at Paul Smith's. click here for more information on culinary arts. Shopping is at its best in the Adirondacks - we showcase the regions finest boutiques, galleries, stores and antique & craft shops throughout Upstate New York, the Lake Champlain Valley & the Adirondacks. The Adirondack Region has been renowned for its shopping, hospitality and lodging since the turn of the century when the rich and famous constructed spectacular Great Camps and huge rustic hotels during the "Gilded Age". Today, visitors have their pick from a wide and eclectic assortment of shopping and services ranging from Adirondack gifts, rustic furniture, crafts and artwork to household items, pet care and lawn and garden equipment. click here. Treat that special person to a lovely gift basket for any occasion! Get the lowest prices on the web and search a huge selection of gourmet gift baskets with cheese, wine & chocolate! The Village of Lake George is ideally located within the Adirondack Park and offers visitors a delightful year round vacation destination. 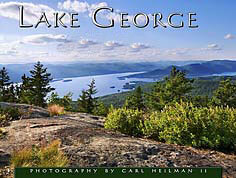 Use our Lake George, New York real estate guide if you are considering buying or selling a home in the Lake George area. The greatest number of high peaks in the Adirondacks (in a single location) rise majestically in the Keene/Keene Valley Region making this area a meca for hikers, climbers and other visitors who wish to experience the remarkable beauty of the Adirondack mountains. There are literally hundreds of trail heads located in the tiny hamlet of Keene including the trail to the summit of Mt. 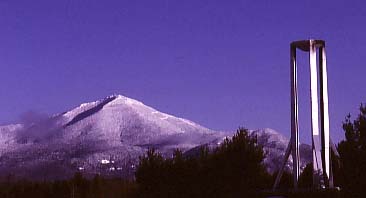 Marcy, the highest mountain in New York State.The Annual Adirondack Mountaineering Festival will be held in January in Keene Valley. The event is a celebration of mountaineering that includes a variety of ice climbing and mountaineering clinics. Lake Placid NY .com gives you everything you need to know to plan your trip online when visiting Upstate New York and the Adirondacks. It's all right here at your fingertips . . . with just a click of your mouse! The LAKE PLACID INSTITUTE for the arts and humanities fosters and sustains art and cultural activities in the Adirondacks of upstate New York, especially in the High Peaks region. Click here to visit their website and learn more! Promote your cause, engage your constituents, build your donor base, and raise more money. Extend, market and manage successful online auctions. Get better fundraising results today. Wildlife Conservationist .com is the premier online directory and environmental resource guide for global wildlife conservation.